Mikael Adolphson (Ph.D., Stanford) is the Keidanren Professor and Chair of Japanese Studies at the University of Cambridge. A premodernist, he was inspired by the similarities between medieval Europe and Japan to focus his studies on pre-1600 Japan. Professor Adolphson’s current interests and projects center on cultural icons, historical narratives, and agency in societal changes. He is presently working on trade and the rise of the Heike family in the 12th century, as well as their poorly known capital of Fukuhara (presentday Kobe). 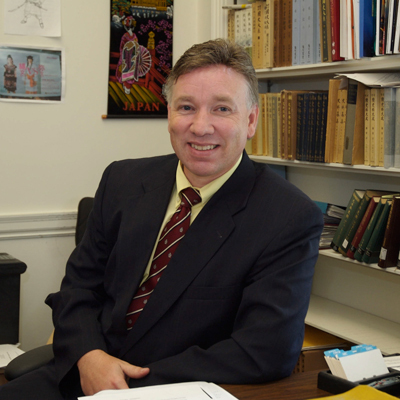 In addition to several essays in edited volumes and journals, Professor Adolphson has published The Gates of Power: Monks, Courtiers, and Warriors in Premodern Japan (2000) and The Teeth and Claws of the Buddha: Monastic Warriors and Sohei in Japanese History (2007). He lectured for the AIA on the Japan by Sea program in 2017. For information on Latest News, click here. For information on tours in the planning stages, click here. For information on tour leaders, click here. Learn about our small ships that can dock and anchor at historic ports and towns.